Have you heard about medical virtual reality in dentistry? With this innovative technology, you can improve your patients’ experiences and perceptions of dental appointments. How does medical virtual reality work for dentistry? Guided VR allows a patient to experience a virtual environment of your choosing. Here’s how it fits seamlessly into your existing workflow. A patient puts on a medical Virtual Reality headset to enter a virtual world. This virtual world is completely immersive and fully relaxing. 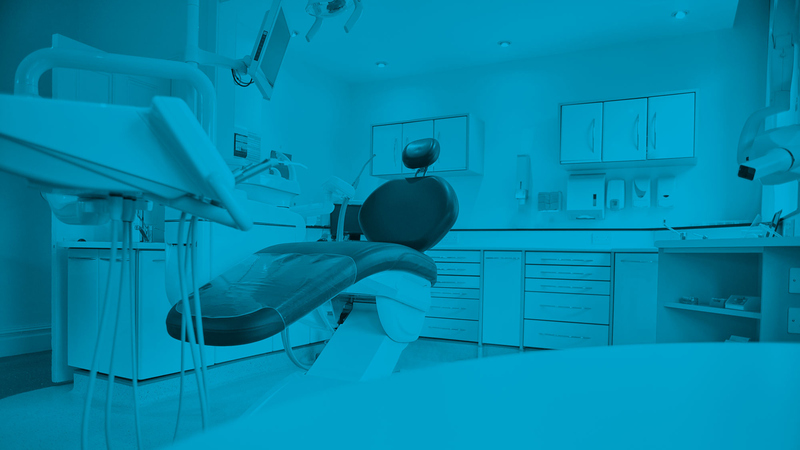 The experience seamlessly showcases the Dental Practice’s logo, reinforcing their brand. Dentists, dental hygienists, doctors, or nurses can select virtual experience options for the patient’s specific needs via tablet. This is especially helpful for pediatric or senior care. Or patients can select their own relaxation options, such as listening to music on the beach. Dental checkups, cleanings, or even dental surgery can occur, allowing the patient to stay in their calming world. Dentists can put nervous patients at ease without analgesics and let them know they can rest safely at their next appointment. Virtual reality research shows that VR for Dentistry relieves pain, anxiety, and increases patient satisfaction. Medical virtual reality in dentistry will have your patients coming back for their appointments without fear. With so many people suffering from a fear of the dentist, Guided VR is the most effective solution to overcoming that fear. By engaging in procedures in a safe and comfortable virtual environment, you allow patients to confront their fears without any risks. Their awareness and understanding of previously scary situations will help them to approach their dental appointments more comfortably and positively. A confident and comfortable patient makes your work easier, and helps you develop better relationships with them. Make sure your patients are not delaying their next appointment out of fear. Learn more about Guided VR.